If you are a small business owner in the United States, or if you are thinking about becoming one, a major component of your business success can be due to where you are located. Jon Lieber, Chief Economist at Thumbtack, conducted a survey of 13,000 small businesses nationwide asking what makes for a business friendly environment. He then used that information to rate which states are the most and least friendly. He had insufficient data for 12 states (which are whited out). The remaining 1 - 38 are below.  You can hover over each state to see the component details behind the score. Cash Is Dead: Is Time To Push All In The U.S. Stock Market? 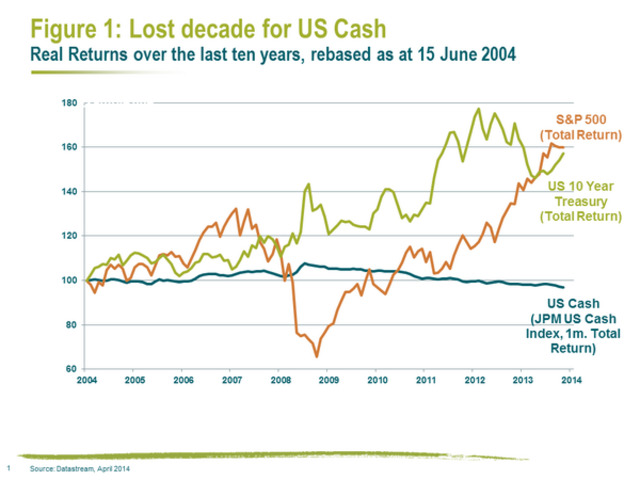 A stock market bull put this chart up on his website today to visualize how cash has under performed the general U.S. financial markets over the past decade. During the tail end of reflationary cycles, charts like this are put up to celebrate "stocks for the long run" and provide reason for investors to rush into the stock market with all available capital. Over the long run (50 to 100 years) if you are investing in a globally diversified stock portfolio and reinvesting your dividends, I believe stocks are the best investment vehicle. That is based on the assumption you do not want to do any work with your portfolio and just passively invest money. If you add active investing options to the mix, I personally believe that real estate is the best long term (50 to 100 years) investment vehicle available due to the leverage, control and tax advantages real estate provides. I believe cash and commodities are by far the worst long term investment vehicles. Cash offers the least returns (currently a guaranteed 0%) and commodities provide no dividends (like stocks), interest payments (like bonds) or cash flow (like real estate). However, there are times throughout history when both cash and commodities in the short term can add more value to a portfolio than the big three (stocks, bonds, real estate). I believe we are at one of those moments. If you want to put together a portfolio that you will not look at for another 50 years, I would hold almost exclusively stocks with a smaller portion in bonds and real estate. If you want to put together a portfolio that will perform better over the next 36 months, I would think about adding cash and certain commodities to your portfolio mix. It is often helpful to dig one step past the mainstream headline of "home sales are up" and "stock prices are up" to see what is really taking place in the financial markets. 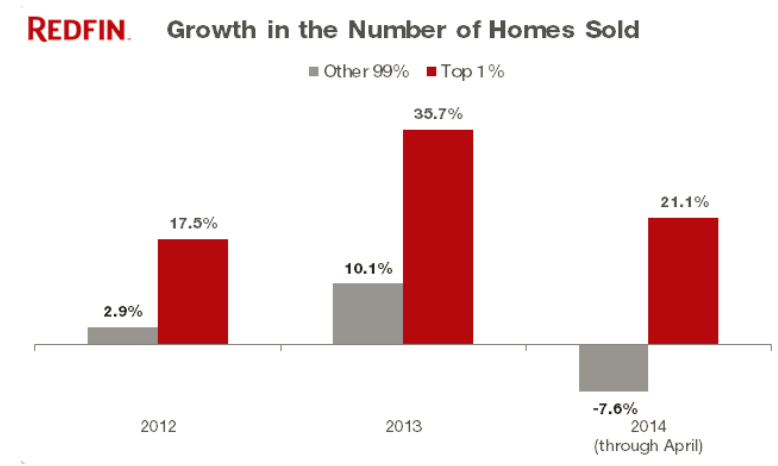 Residential home sales in the United States sales have become a bifurcated market with growth in sales now only seen in the top 1% most expensive homes. The remaining 99% have fallen 7.6% during 2014. The top 1% are out in force bidding up the prices of fine art, sports cars, NBA basketball teams and the most expensive homes in the U.S. There is no price too high to pay for these "trophies" when the assets on the balance sheets of the rich (stocks, bonds and real estate) have mushroomed due to the Federal Reserve's QE programs of the last five years. "The rest" are forced to make home purchase decisions based on down payments, income and home affordability. In that area, known as the real economy, there has been little recovery. 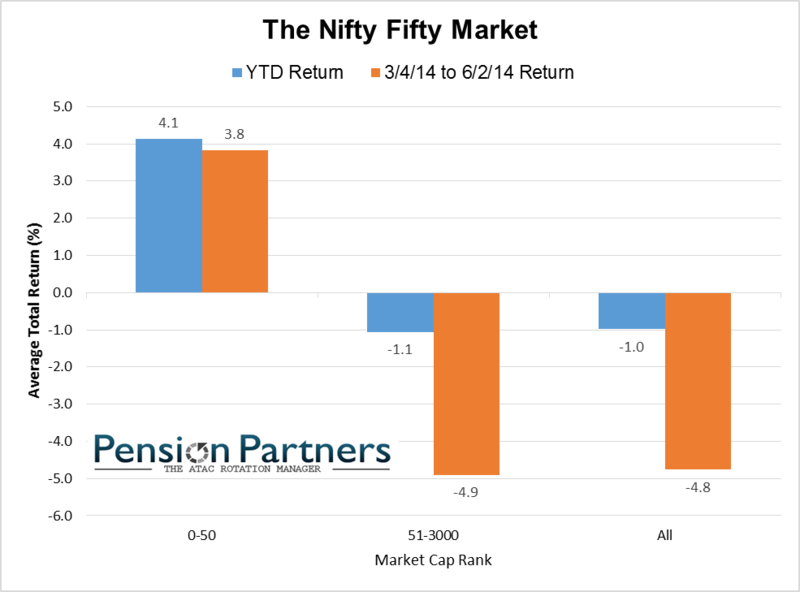 The U.S. stock market is also bifurcating with the new "Nifty Fifty," the top 50 largest stocks in terms of market cap size in the Russell 3000, up over 4% this year. The remainder of the market is down over 1%. Nifty Fifty was a term used in the early 1970's when the largest group of 50 stocks in the market began to separate from the pack and move higher at an explosive pace. The Nifty Fifty then crashed and burned during the decline of 1973 - 1974 with most of the top names declining 60% to 90% or more. I'm currently reading an excellent book called "Contrarian Investment Strategies: The Psychological Edge" by David Dremen. In the book he goes into detail on the psychological atmosphere surrounding the original Nifty Fifty during the late 1960's and early 1970's. I highly recommend studying history to have a better outlook on what the future may hold, and Dremen's book is an excellent resource for that study. Jim Grant speaks with Steve Forbes in the wide ranging interview below on Federal Reserve policy, the forgotten depression of 1921 and investment opportunities in Russia, India and gold. Does A Recession Have To Occur For U.S. Stocks To Fall? Do we need a recession in order for U.S. stocks to slow their straight line accent higher? 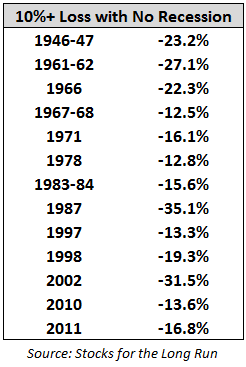 The chart below shows there have been 13 stock market losses of 10% or more since 1946 without a recession occurring. Two of the declines were greater than 30 percent. What could trigger a decline in stock prices other than an outright recession? 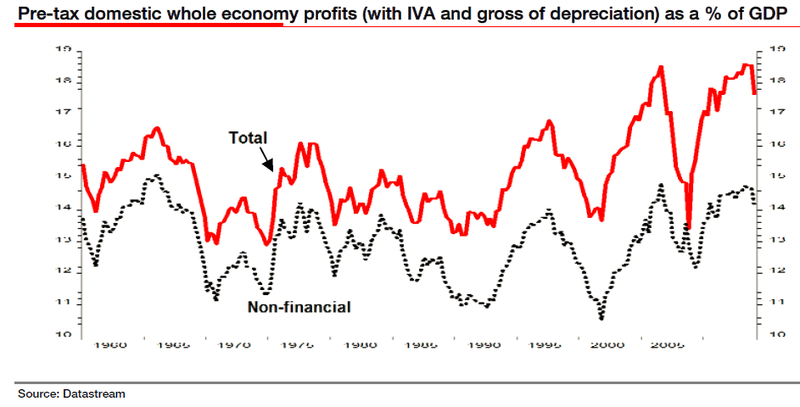 One trigger could be profits turning down sharply, which occurred in the first quarter of this year (red line below) alongside a decline in overall GDP. I mentioned earlier in the year that while certain pockets of the market were more expensive on a price to earnings (P/E) basis back in the 2000 mania, the median P/E for stocks today is higher than it was during that period. Investors paid ridiculous prices for a pocket of technology stocks found within in the NASDAQ during the peak of the 2000 bubble, while today they are overpaying for everything across the board. 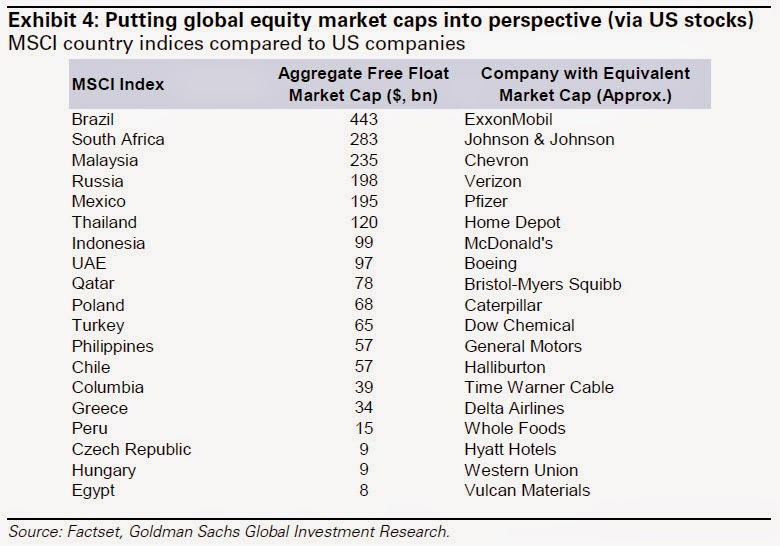 The chart below shows the market caps for some of the largest companies in the U.S. stock market. Exxon Mobile is currently valued at a price equal to the entire Brazilian MSCI stock market index. Johnson & Johnson is equal in value to the entire South African MSCI index. Would I rather purchase a single U.S. company today or the entire country of Brazil? 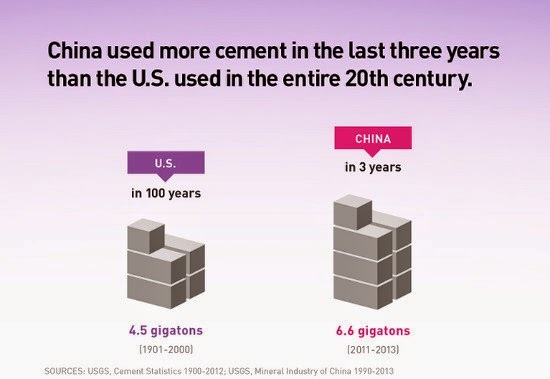 I would personally take the latter, although I'm sure Exxon could rise another 10%, 20% or 40% from here as the U.S. stock mania reaches further extremes. 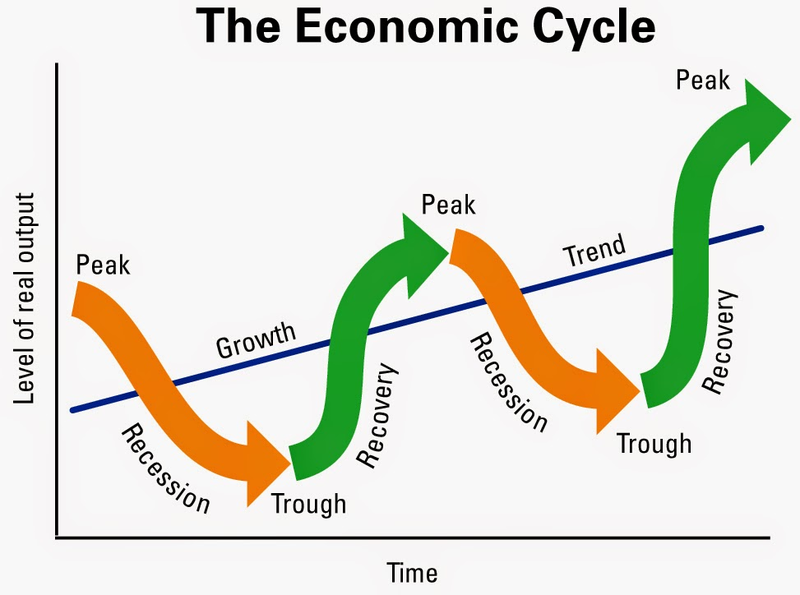 A recession always follows an expansion like the natural cycle of the ocean tides. We will have a recession sometime before this decade is over (we could be in one right now). It will take investors by surprise who are paying more for the general U.S. stock market today than at any other point in history.